Most Hindus living in a predominantly English speaking environment have an urge at one point in their lives to learn about Hinduism. Sometimes the curiosity arises from a genuine desire for guidance in life. In other cases the urge to look into Hinduism comes from a particular incident – for example being asked questions that we’re not able to answer. There may be any number of different starting points to an individual’s quest. So how does such a person go about studying Hinduism? One of the seemingly obvious things to do would be to obtain an English translation of some of the major Hindu shastras (sacred texts) and read them. And this is what quite a few people attempt to do, perhaps from a library, bookshop, or an old copy lying around at home. Reading the Hindu shastras would seem like a sensible thing to do for someone wanting to learn about Hinduism. However the result of such pursuit is often confusion and misunderstanding of what Hinduism is all about. The problem is in the translation. There is an old story about how a computer, programmed to translate from English to Russian and back, rendered the phrase “The spirit was willing, but the flesh was weak” into “The Vodka was strong, but the meat was bad. A similar phenomenon occurred when European scholars made their first translations of Hindu shastras into English in the 19th century. Unfortunately, it is often the translations of such European scholars which form some of the most readily available collections on Hindu scriptures. Examples of such translators include Max Muller, Ralph Griffith, Monier William and H. H. Wilson. Although they played a role in the pursuit of English translations of Sanksrit works, they were relatively new to Sanskrit and without a background in the ideas of the Vedic era, for them to set out to translate the large and complex works of the Vedic age is an exercise bound to fail. It is comparable to a person trying to interpret a physics paper without a grounding in the basic concepts, but just having learnt the language. In addition to the difficulty inherent in trying to interpret early Sanskrit of thousands of years ago by people who had only just discovered the language, some of these scholars (with a handful of honorable exceptions) also projected their own worldview, biases and agenda into their translation. For example, in the 19th century a racialist view of history was in vogue, whereby history was a product of constant invasions and subjugation of one race by another. Therefore, it was automatically assumed that anything sounding vaguely like a conflict in the Vedas was a race war between an invading European-like horde (Aryans) versus darker Dravidians, even if there was no objective evidence that this was the case. Unfortunately, because of the greater prestige attached to European scholarship in the humanities compared with Indian scholarship, these translations have achieved an aura of authority. Unfortunately large sections of English speaking Hindus ended up learning Hinduism through their translations. Better English translations of Hindu scriptures have been written by Hindu yogis and scholars, such as Sri Aurobindo, Bal Gangadhar Tilak, Swami Dayananda Saraswati and Swami Chinmayananda, amongst others. These translations are often difficult to get hold of, and are quite difficult to read due to the style of English used – but are very rewarding and enlightening for the more serious reader who has got what it takes to persevere through the early stages. Recently, the Bhagavad Gita has been extensively translated into English, and a number of excellent translations and commentaries exist – although there are also a few of dubious quality. Other good entry points to starting learning about Hinduism are the beginners books on Hinduism by David Frawley (“Hinduism: The Eternal Tradition,” available to read online) and Linda Johnson (“The Complete Idiot’s Guide to Hinduism”), both of which are written by non-Hindus who have embraced Hindu dharma, and have many references for further reading which you may wish to investigate. Additionally, David Frawley has written more than 30 other books on various branches of Hindu wisdom, and these are written in a wonderful easy to read style, while still not lacking at all in depth. Many of these books are available online, here and here. 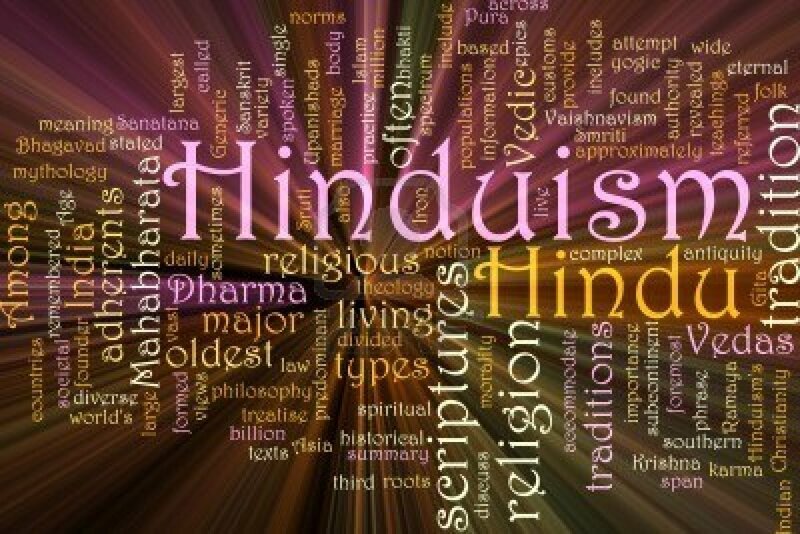 Online, there are now several good websites on Hinduism. Hindu Wisdom (formerly known as ‘A Tribute to Hinduism’) and Hinduism Today are among the best. Good article, goes to show that Hindus should only look at scriptures translated by Hindu spiritual scholars not mundane so-called philosophisers and people who call themselves “spiritual”. One example of a good source is the work of Srila Prabhupada. “Unfortunately, it is often the translations of such European scholars which form some of the most readily available collections on Hindu scriptures. Examples of such translators include Max Muller, Ralph Griffith, Monier William and H. H. Wilson.